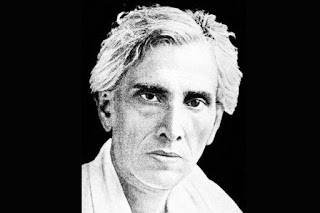 Sarat Chandra Chattopadhyay was seventeen years old when he wrote “Devdas”, and it was eventually published in 1917 . Never before ,and possibly never after, has a triangular love affair captivated the Indian Hearts and minds as much as that between the tormented, tragic and finely etched characters of Devdas, Paro and Chandramukhi. It was Sarat chandra’s crown jewel, a work that catapulted him to fame, and established his name as a literary genius. With over twenty novels and many shorts stories during his active literary life, his fertile brain, facile pen and sensitive heart captured the essence of an Individual caught in the web of feudalistic society, which was slowly but painfully , emerging out its chrysalis to modernity in the early twentieth century. Emotional and psychological emancipation of women largely figured in his works, and it is through them he voiced his opinions and ideas. Heroines were his principal protagonists, with men only playing second fiddle, and often the tragic victim of his stories. Last Sunday, I watched Sanjay Leela Bansali’s luxurious adaption of devdas during my flight to Chicago. It is a three hour movie, and the flight time was an hour and thirty minutes. So,I skipped quite a bit of the movie and watched portions of significance both in the book and the film.At the end of it, the question that haunts the mind of everyone who watches or reads Devdas, is this : Which is stronger and truer love of the two? Is it Paro’s unrelenting, yet diffident acceptance of her fate and wanting to possess her love on her own terms superior? or is the forgiving, forbearing, physically satisfying and mystically accepting embrace of concubine Chandramukhi deeper and more true? This has been debated in literature and social platforms for decades, and the balance more often than not tilts in favor of Paro - as the genuine love of Devdas, and Chandramukhi - the unlawful and unethical usurper of his affections. The fact that it is Devdas own cowardice at a critical time in the story which leads to tragic consequences is conveniently lost in arguing the morality of the leading female characters. It is a tribute to Sarat chandra’s genius that he held the tale as a mirror to his readers souls. Depending upon who is reading it, and from what social and cultural background they come from, the answer to this question will be colored accordingly. While Paro is pictured as the outwardly “pure” one, unadulterated by the evils of flesh, but consumed by fire of jealousy and reciprocity in her relationship; Chandramukhi trades her body as a profession, yet maintains an inner purity which shines in her unconditional acceptance of a broken, tragic man who stumbles into her embrace having lost everything he possessed, including wealth, health and heart. Ironically, Devdas resents Chandramukhi when he is sober, and pictures her as Paro when he is drunk; but in either circumstance, it is the professional courtesan Chandramukhi who anchors his troubled self in waves of solace without a word of admonition or reprimand. It is she who shows him the way, in rare moments of his sobriety. It is she who gently makes him realize it is his fault that Paro chose her own life , and it is he alone who must now seek redemption by reaching out to his true love - Paro and give himself unconditionally to her. It is with this fullness of heart, understanding and self-realization that devdas makes the final journey to Paro’s doorsteps. If the definition of love is transformation, then it is chandramukhi’s love that transforms devdas and not Paro’s - though she unknowingly becomes the recipient of his transformation. The brilliance of Sarat chandra’s work lies in the moral ambivalence he creates in the minds of readers. Not many will know, that until 2002, there was no English translation of Devdas. Translations were available in all major Indian languages, and around 15 cinematic adaptions of Devdas produced in different Indian States are on record. However, It was only after Sanjay’s movie became a block buster in 2001, that writer Sreejata Guha, a seasoned Bengali translator, was commissioned to make the first English translation. It is a terse and meticulous translation without allowing nuances of English language to usurp the atmosphere of the story or intensity of its dialogues. I enjoyed reading it. It reminded me of the magnificent translations by great Edith Grossman of Gabriel Marquez and Mario Vargas Spanish works- clear and un-ornamented. Ironically, again, the front cover of Devdas English translation had a picture of Aishwarya rai, as if to suggest that devdas is also a “book” you can read, now that you have seen the movie. I will not be surprised if many young readers mistook the book to be based on the movie. I hope not. Anyway, the amazing fact is for eighty five years, after it initial publication, Devdas remained translated and read only in Indian vernacular languages. The need of English Translation was never felt, because all regional languages adapted the story wonderfully to suit its own needs. This arrangement worked well because until about twenty to thirty years years ago, most Indians could speak and write in dual languages - in english and their own mother tongue . But unfortunately many among the modern generation (millennials) have lost touch with their mother tongue, and have become solely dependent on English. Therefore the emergence of an English translation in 2002 only signifies the times we live in. Before I conclude this piece, a quick word or two on Leela Bansali’s production. Enthralling and ravishing - to say the least. The two leading ladies, Aishwarya Rai and Madhuri Dixit were perfect fits for the roles of Paro and Chandramukhi. Their faces were plateaus of shifting emotions between pain, remorse, anguish and passion. They understood the inner dimension and depth of characters played, and the eyes did most of the talking with effortless ease and commitment. When they danced, it was mastery personified. As devdas, this was one Shahrukh’s better performances in the last two decades. His naturally tremulous voice, forlorn looks, unassuming humor, histrionics of drunken dejection, jilted lover fitted the need well, and in the later part of the movie, when devdas rushes towards self destruction, Shahrukh khan gives us glimpses of what he could have become if he had cultivated acting more assiduously and given it more importance than mere stereotyped expressions which he doled out at regular intervals. Finally, Devdas - the movie had some of the finest songs ever composed and choreographed for screen. Not a pin out of place in the sets, or a costume stitched incorrectly. Its as good as it can get. I wonder what Sharat Chandra would have had to say about his phenomenal success of Devdas. I am sure, he will be happy that his core idea about moral conflict still remains a moving force in society, and no matter how many adaptations of devdas comes out, the question of love between sexes and what it means will still remain a conundrum , not only in the context of India, but everywhere where society assumes the power to dictates the perimeters and boundaries of Love.